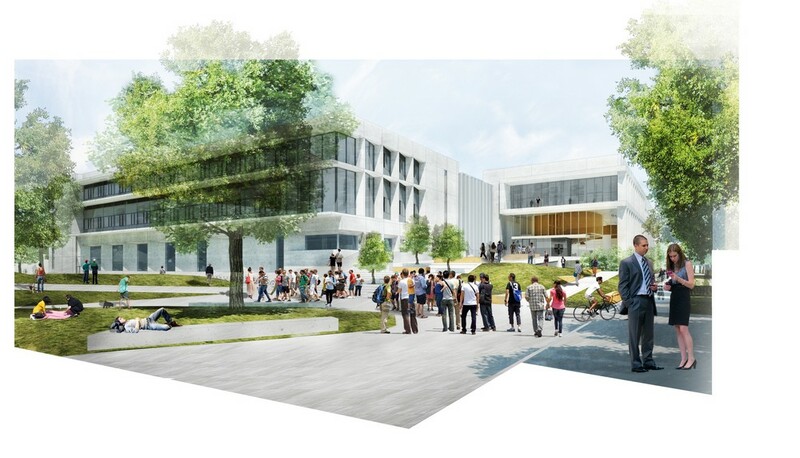 Bouygues UK, a British subsidiary of Bouygues Construction, and the University of Cambridge have signed a construction contract for the university’s Cavendish III physics laboratory and a neighbouring shared facilities hub, both designed by architect Jestico + Whiles. 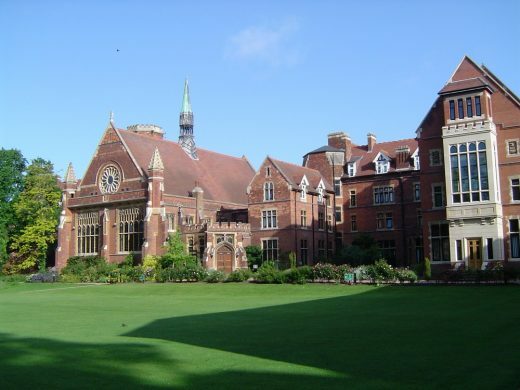 The contract, which was awarded by Lynxvale Limited, the university’s development arm, is worth £250 million (approximately €281 million). Transformation of a Victorian Farm into a music and arts venue. The ACE Foundation is a Cambridge based charity with the aim of encouraging and developing cultural understanding. Providing support for educational projects, courses and summer schools, both locally and internationally, the ACE Foundation has played a pioneering role in adult and continuing education. The Foundation provides a whole host of educational activities, from worldwide study tours to financial support for a variety of educational projects around the globe. This new 360,000 sqft building will accommodate the growth of the company from 2,500 to 3,000 employees and consolidate office space previously housed in eleven locations around the city onto one site, bringing all Cambridge-based staff under one roof. 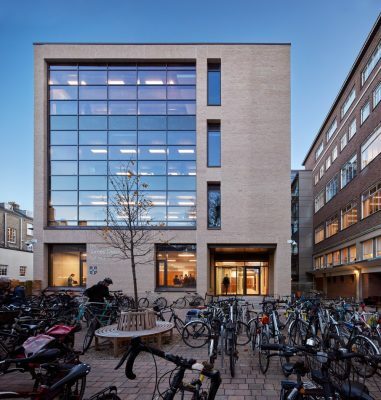 The building underlines Cambridge Assessment’s continuing commitment to the city of Cambridge’s development as a centre of educational excellence in the global market. 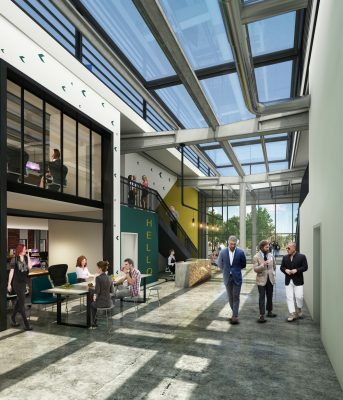 Planning secured for the redevelopment of an industrial unit on Cambridge’s Unity Campus into an innovative office space, known as The Works. The new space is intended to harness the exceptional demand for office and R&D space in the South Cambridge biomedical cluster. 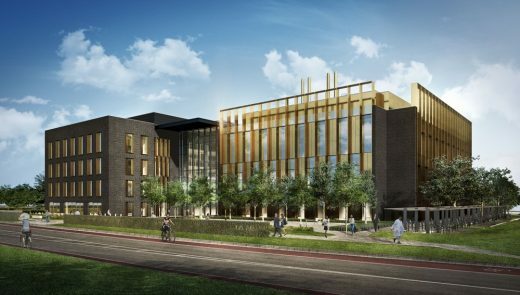 The 35,000 sqm new building has been designed with CH2M, who were recently acquired by Jacobs in December 2017, acting as technical architects on the laboratories and specialist cleanroom areas, and will support the world-leading research carried out at Cambridge for the next 50 years. 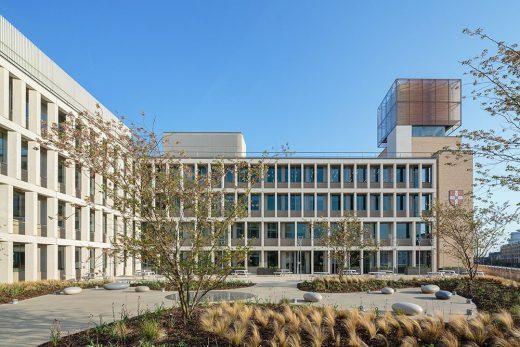 This Stirling Prize-winning architecture practce has completed a £21.5 million expansion for Cambridge Judge Business School at the University of Cambridge, demonstrating the practice’s expertise in unlocking the potential of complex sites, and creating a versatile hub for postgraduate and executive business education. Design unveiled for a new headquarters building for Abcam plc at Cambridge Biomedical Campus. The 100,000 sq ft laboratory and office facility, is now under construction at CBC’s global healthcare village, which is being jointly developed by Liberty Property Trust and Countryside Properties. The new building occupies a restricted, but important site adjacent to the existing Department of Engineering building and with frontage onto The Fen Causeway – a busy artery into and out of Cambridge. 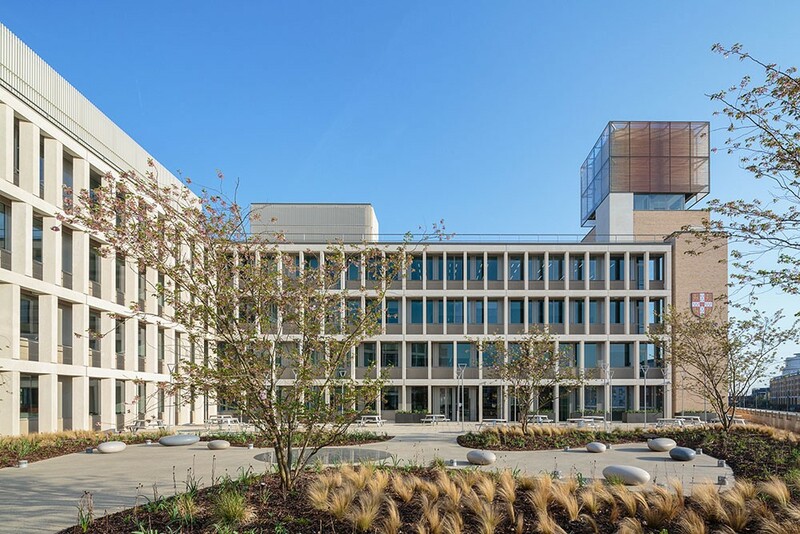 The building aims to raise the department’s profile by providing a ‘window’ into its varied activities and to improve its somewhat undistinguished entrance forecourt. 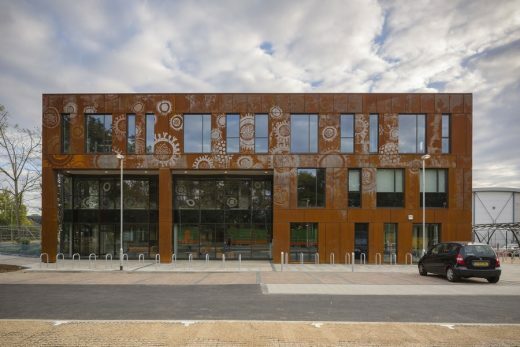 UTC Cambridge, a new centre of excellence for Biomedical and Environmental Science and Technology, has completed and welcomed its first students. The school, which has an internal area of 5,300sqm, combines a new syllabus and a new way of teaching for 14-19 years olds, in a uniquely designed environment. 155 architects applied to be considered for the long-list in the design competition to select a team for its £7m centrepiece building to house a new 300-person dining hall. 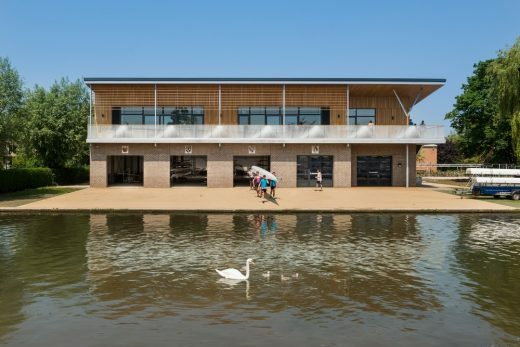 RHP completes work on a new boathouse for the combined Cambridge Colleges of Churchill, King’s and Selwyn, together with The Leys School. 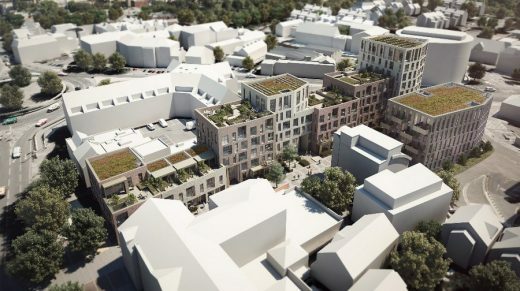 This mixed-use scheme to reactivate a 19th Century street off Newmarket Road in Cambridge has won resolution to consent from Cambridge Planning Department. 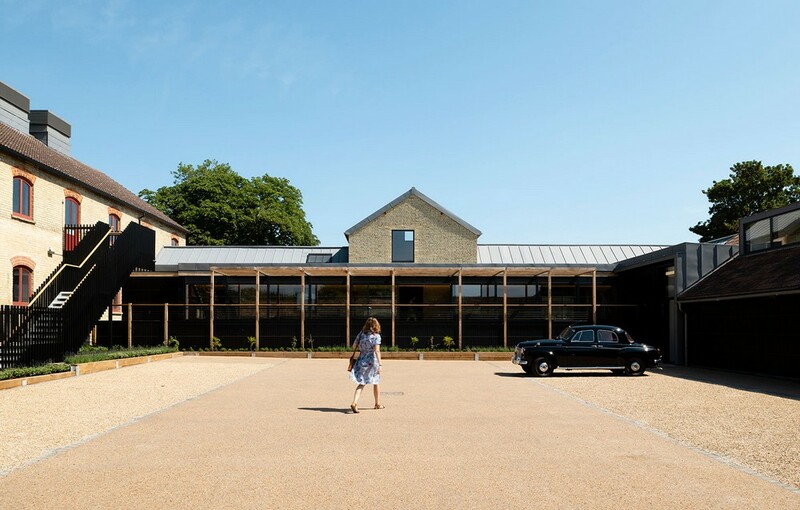 Stanton Williams, former RIBA Stirling Prize winners, has been appointed by the University of Cambridge as one of the architects for the first phase of the North West Cambridge development. The architects will work on architectural designs in Lot 2 which includes university housing, shops and amenities. The University of Cambridge has appointed a design team led by Stanton Williams to develop a masterplan for the expansion of Cambridge Judge Business School (CJBS) on the Old Addenbrooke’s Hospital site in the centre of Cambridge and to design a first phase of the proposed works, following a competition with a strong field of architects. Other team members include Arup, AKT II, Gardiner & Theobald, Hannah Reed and Stuart A. Johnson Consulting. NBBJ is to design the £120m mixed-use Forum development for specialist investor in and manager of public sector infrastructure assets, John Laing in partnership with Cambridge University Hospitals. 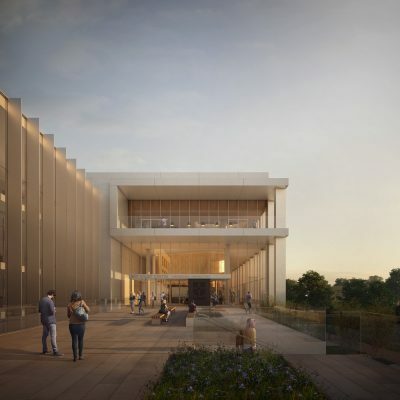 Trumpington Community College will provide places for 750 students and be at the heart of Clay Farm, an urban extension to the south of Cambridge, as 4,000 new homes are built over the next decade. When the new five-form-entry school – which will specialise in science – opens in September 2015, students will be welcomed into a 21st century learning environment. Long Lane, a key section of the Great Kneighton development on the southern fringe of Cambridge, has received planning approval. The proposal covers 5.4 hectares and will provide 273 homes. Low impact, Great experience: The one storey, multi accessible, gently deepened visitor centre offers up-close experiences of the Great Fen and grand vistas from the panorama deck. £725m masterplan for 25 acre Cambridge railway station area – entitled the CB1 Scheme – for the Ashwell Property Group: flats, offices, hotels, public square, bus interchange, county heritage centre and shops. once taught architecture in Cambridge. Architect Leslie Martin was appointed to the first Chair of Architecture at Cambridge University in 1956, a position he held until his retirement in 1972.